Nicholas Oliver was born in London. He spent four years at the Purcell School for young musicians before gaining a scholarship to the Royal Academy of Music where he studied with Jean Anderson. Postgraduate studies continued at the Royal Northern College of Music with Marjorie Clementi, Martin Roscoe and Ka Kit Tam. He won several prizes at both colleges for solo and chamber music performances including the R.A.M.’s Elsie Cross prize for performance of twentieth century piano music and the Christian Carpenter award for piano accompaniment. He won the Young Pianist of the Year Award in 1984 and second prize at the 1991 Dudley International Piano Competition, since when he has been enjoying a successful and varied performing career. He is particularly active in the field of chamber music and is a member of several different ensembles. He has given numerous recitals with instrumentalists and singers for music societies and festivals throughout the UK, has appeared several times at London’s South Bank and at most of Britain’s major concert halls. A performance of the Elgar Sonata for violin and piano in a Purcell Room recital was acclaimed in the “Strad” magazine for its “whimsical playing, powerful, serene and grand with immaculate ensemble and balance”. He and cellist Richard May were prize-winners in the inaugural EMI Jacqueline Du Pre competition for cello and piano duos. Following one of their many recitals, a critic for “The Times” wrote of the Shostakovich Sonata “simply one of the most gripping performances I have heard”. Nicholas has undertaken concert tours in many European countries and has also performed in the Americas, Australia, Africa and Asia. He has broadcast frequently on radio and released several recordings. In addition to his performing career, Nicholas is much in demand as a tutor and coach on music courses and festivals, is an experienced adjudicator and undertakes examining work for the Associated Board. He has taught piano and ensembles at the Junior School of the R.N.C.M. where he was also on the accompaniment staff at the senior college. 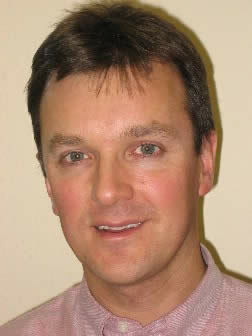 He is currently joint head of piano accompaniment at Chethams School of Music in Manchester. Nicholas was made an Associate of the Royal Academy of Music in 1997 and was elected to the Royal Society of Musicians in 2000.